The Economic and Financial Crimes Commission has challenged the decision of Sokoto State Governor, Aminu Tambuwal to pardon five persons including the former Governor of the State Attahiru Bafarawa accused of stealing money from the state. The move by the Governor many have said is bad for democracy as it would encourage stealing of public funds and work against the government's anti-corruption fight. 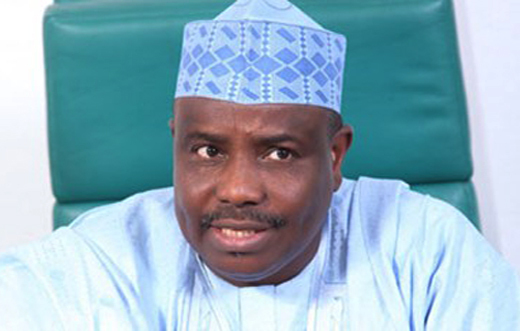 A statement by the EFCC reads: "The EFCC today, September 25, 2017 filed an appeal at the Court of Appeal, Sokoto Division, challenging the Judgment delivered by the Sokoto State High in respect of pardon granted by the Governor of Sokoto, Aminu Waziri Tambuwal to five accused persons who were charged alongside the former Governor of Sokoto State Attahiru Bafarawa. It would be recalled on the 29th day of June, 2017, Sokoto State High Court presided over by Honourable Justice Bello Abbas delivered a judgment discharging five accused persons, Alhaji Tukur Alkali, Bello Isah, Alhaji Isah Sadiq, Alhaji Habibu Halilu Modachi and Alhaji Muhammadu Maigari Dingyadi. The ruling was sequel to a motion filed by the respondents seeking to be discharged from further criminal proceedings based on a pardon granted to them by the Sokoto State Governor."